Year Four is in the books. 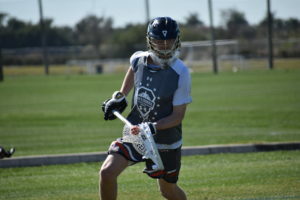 The country’s top 2021, 2022 and 2023 players made their way to IMG Academy for the NLF Futures Showcase, a three-day camp where players learned from top college and club coaches, as well as pros, at IMG’s picturesque campus. The camp’s instructional aspect is second to none, and that’s the biggest reason why the event is such a success every year. 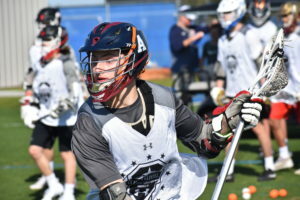 Here are some of the players who stood out the most from camp, with a heavy focus on 2021s, but also a few 2022s and 2023s. Click here to see photos from the event. Part of a loaded ’22 class at McDonogh, Baehr is a strong, two-way midfielder with enough speed to be a legitimate downhill dodging threat. His best asset might be his motor and endurance, because he doesn’t really seem like he ever gets very tired. Baehr seems to know his range pretty well and doesn’t take any outlandish shots, and he did some nice work on the defensive end, too. Borges left a great last impression as he took a ground ball, sprinted downfield and buried a behind-the-back shot for the championship-winning goal in overtime of the ’21 title game. He’s tall and has the shake to be a problem for just about anyone. He was an impact player last spring as a freshman for a stacked Yorktown team, and it’s not hard to see why. Borges thrives between the lines and can let it rip with either hand. He’ll be in high demand on Sept. 1. An obvious candidate for captain of the All-Name team, Cool has the game to go with the name. He has excellent straight-line speed and is always hustling. He showed off his cover ability by blanketing middies at camp, and he’s terrific at scooping up ground balls. He was a rare freshman starter for McDonogh football at slot receiver and corner and has a chance to see varsity time on the lacrosse field this spring, and his multi-sport athleticism help make him one of the top LSMs in the ’22 class. There can’t be many better pure ball stoppers in the ’21 class than Demopoulos. He has excellent size, but his super-quick hands also allow him to get to just about any shot. You wouldn’t expect a kid of his size to be so nimble when dropping to take away low shots, but he shows nice flexibility to take away those low rips. He’s not shy about putting strain on the ride by leaving his crease on the clear, and he makes solid outlet passes. He was particularly stout in the last game of the tournament. There isn’t a lot to dislike about Doherty’s game. You notice him right away when he’s on the field, whether it’s because he’s scooping up ground balls off the wing, getting right up in opponents’ grills or throwing big checks. He’s well put together and does a nice job of using his strength and leverage to push opposing middies around. He’s always going at 100 percent, and if you’re not protecting your stick around him, it won’t be in your hands for much longer. It was a pretty strong camp for the LSM position, and Fox was as good as anyone there. 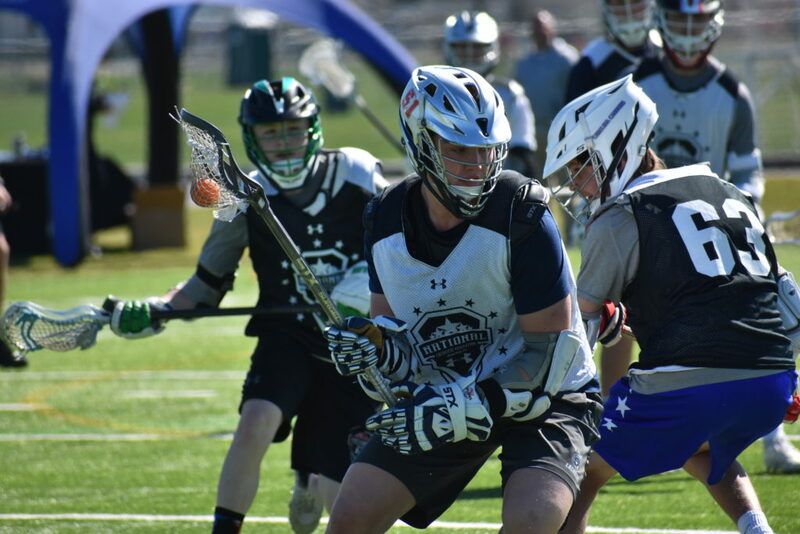 The Eclipse standout was great on the faceoff wings, where he flashed a good stick and an ability to corral tough ground balls in traffic. Fox is a big, rangy pole who has the requisite aggressiveness and lacrosse IQ to be a dominant force. He was excellent in 1v1 defense, had an active stick in passing lanes, and one coach mentioned that Fox had the best field sense from top-of-the-box to top-of-the-box. Gatz shook off a bit of a slow start to put together a strong finish to the tournament. He has superb stickwork and usually places his shots well, and he’s extremely confident when he has the ball. In an early playoff game, he ripped a shot to the far side that grazed the pipe and went in, and later followed it up by threading the needle with a beautiful feed to set up another goal. Gatz also has decent size and runs well in the open field. Coming off a 31-point rookie campaign as a freshman starter for Mount Sinai, expect Gatz to be an even bigger presence this year. Gregorek plays up a year with the vaunted Team 91 Smash team, and it’s not hard to see why. He simply didn’t get rattled by anything that he saw when he had the ball at X, and he took command of his team’s offense pretty quickly. He’s strong when he gets going on the dodge and he did a nice job of protecting his stick. He had a beauty of a goal in the first half of the 2023 championship game when he had a half-step on his man from X and shot over him for a top-shelf snipe. He’s not afraid to shoot, and he’s absolutely deadly with time and room. As is the custom with so many Laxachusetts defensemen, Guinee is enormous, and he’s got the frame to add on plenty of muscle. He’ll need to work on his off-ball defense a little bit, but he’s almost impossible to get around. For such a big guy, he can move his feet well and looks fluid when going side-to-side, and he’s got a knack for putting the ball on the ground. On one play, he timed up a double team perfectly and sent the ball and stick flying for a caused turnover. He has a ton of untapped potential. A very athletic lefty, Kilrain has excellent feet and has range for days, and when he throws a check, you feel it. He even stepped in and took some faceoffs, and when he wasn’t winning the clamp, he was taking the ball away from his opponent. He needs to add some bulk, but he’s got plenty of time to do so. It’s hard to teach his ability to take the rock away, and he can turn and run with smaller, quicker attackmen. The Eclipse ’21 team ranks among the country’s best, and Johnson is a huge reason why. The slick lefty is an absolute menace in every facet of the game, and it’s not hard to see how he racked up a Connecticut freshman state record with 95 points last year. He has the skillset of a collegiate No. 1 attackman, with the ability to feed, finish and be a consistent threat to cause turnovers on the ride. Johnson is very confident with the ball in his stick and makes things look effortless, and he elevates the play of those around him. A recent transfer to Avon Old Farms, he earned rave reviews at the event for his coachability. A tremendous all-around defenseman, Jones put on a show early in drills and never wilted after that. It’s so tough to get around him 1v1 because of his quick feet and agility, but he’s also strong enough to push guys around and he throws precise checks to take the ball away. A defenseman by trade, Jones also took a couple of LSM runs, where he looked like a natural, and he does a good job of both running by guys and making the right pass in the clearing game. 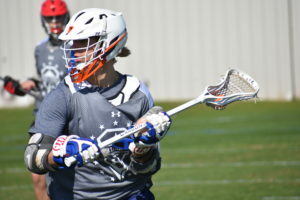 There’s a sentiment that McKeigue is good enough to be the next star defender out of St. Seb’s, and next spring, he’ll be the likely replacement for Duke-bound Will Frisoli at LSM. He’s predominantly been a close defender, but he has the skill set to move to LSM. An athletic, well put-together specimen on the back end, he’s a shutdown takeaway artist and he has the ability to wreck offensive gameplans in a hurry. 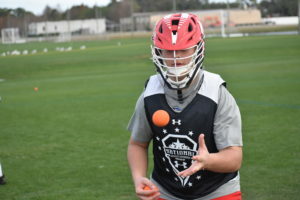 It can be hard for midfielders to stand out defensively at an event like this, but McPherson showed that he’s a very versatile middie who thrives on the defensive end. He was all over the field on defense, getting his stick on a handful of passes and getting by guys with ease in transition. He showed a good understanding of defensive concepts, steered his matchups down the alley and also did a nice job on man-down defense. If he can continue to add to his offensive game, he’ll be a hot commodity when 2021 recruiting begins. Rhoa already checks in at almost six feet tall, and he combines that size with an ability to run for days and a lethal shot. He can uncork lasers either righty or lefty and he’s got some range on his shot, too. Rhoa also does a solid job of changing planes on his shot. Ryan has a knack for coming up with saves in tight that he has no business stopping. It’s almost uncanny. He doesn’t waste a ton of movement when he’s moving in the crease, and he does a pretty good job of finding the right man and making a good pass in the clearing game. He’s in control of the game, and those in-tight saves are usually good enough for a goal or two to not go up on the board every game. Switzer looks like a top candidate of the “first off the bus” team. He looks the part of a Division I defenseman right now, and the towering lefty’s playing style matches his size. He’s strong and physical, and if he gets his hands on you, you’re done. You wouldn’t expect a kid of his stature to move as well as he does, but once he gets going with the ball in his stick, he can really move. He’ll transfer to national power Culver Academy (Ind.) after his sophomore campaign, and if Jon Posner‘s coaching staff can iron out a few minor issues in Switzer’s game, there’s no telling how good Switzer can be. Ventarola was impressive because of his ability to do just about everything that a midfielder should be able to do. He was extremely active and did very well between the lines. He showed an active stick defensively by snaring a few errant passes, and he was an asset in the clearing game. Offensively, Ventarola showed deft vision and an ability to initiate off the dodge. Mount Sinai is absolutely loaded to the gills this year, and Ventarola should play a significant role for the Mustangs. Notice a trend with the Team 91 kids on here? It’s hard to imagine that Mount Sinai won’t be really, really good for the next couple of years. Physically, Volkmann already looks like an upperclassman, checking in at about 6-1, 200 pounds, and he plays like it. He makes opponents uncomfortable early and often by throwing hammers. Volkmann also has an excellent handle, particularly for a pole, and is very at ease pushing transition. West does a little bit of everything pretty well, and offensively, he’s a bull in a china shop. He uses his big body to run through checks, and if you let him get his hands free, there’s a good chance that your goalie is turning and raking. He showed an ability to be a precise time-and-room shooter, including a goal in the championship where the net shook after a thunderous rip. West also showed that he can find teammates with his passes, and he didn’t force many shots. The California native was all over the field for the Virginia squad, and was called the best pole in camp by Thunder LB3’s Liam Banks. He’s an excellent defender who combines agility with fluidity and an ability to knock guys off their spot with relative ease. He was also superb off the ground and was a threat in transition, but his consistency might have been his most impressive trait, as he dominated from the start of camp and never relented. It doesn’t really look like much fazes Zanelli when he’s in the cage. He looks poised and unflappable, even when there’s madness going on around him. He’s a terrific stopper who rarely gives up a bad goal and makes saves look easy, and he moves his big frame around the cage with ease. He can also handle the ball well and looks pretty comfortable in the clearing game.